Learn how to cut, glue and reassemble found glass into a planter for your home! Bring in any glass vessels you are willing to remix, including bottles, dishes, and cups. We will learn basic coldworking techniques including cutting, grinding, and beveling glass. Small plants will be provided to complete the projects. Ages 11 and up, 9 with parent or guardian. 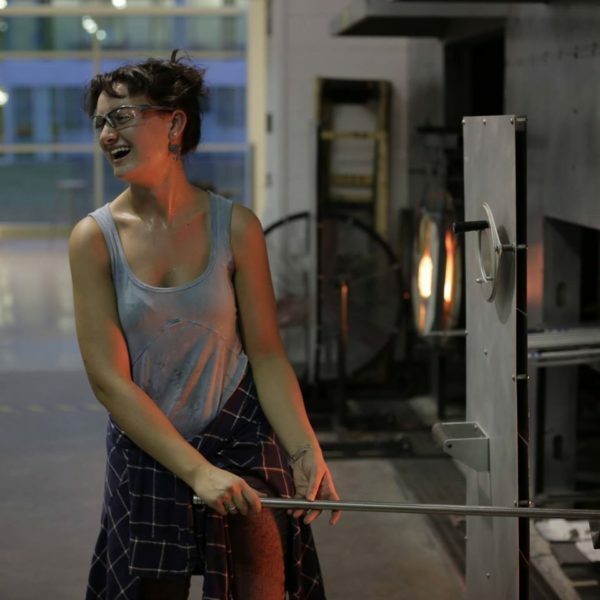 Courtney McCloskey is a glass artist from South Jersey. It is this location that began her affinity with the home and seaside environments.